All real estate is registered to the owners (can be individual, LLC, corporation, trust and more) name with a deed. The deed is generally put in the name of the buyers as the current owners of the property and recorded at the local government office where records of deeds are kept. 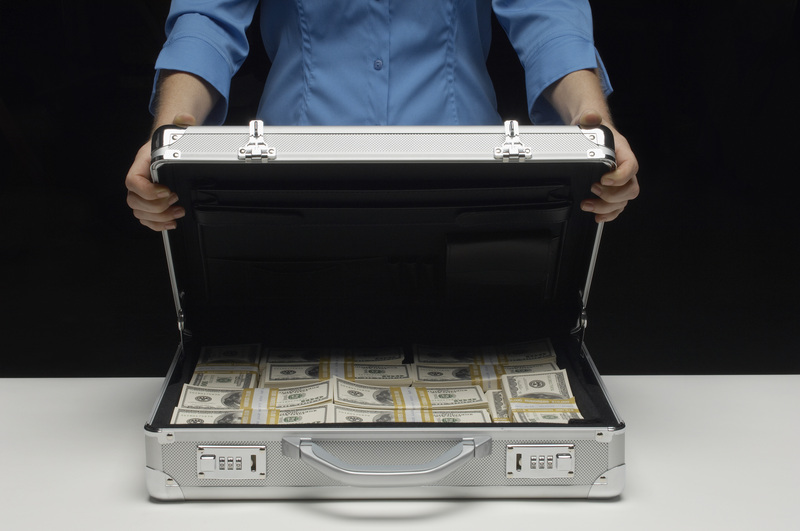 In order to get the best protection, deeds should be registered with the local registrar/recorder but it is not a requirement to do so when purchasing real estate with cash. If the real estate is purchased with a loan the lender will require the purchaser to have the deed registered and recorded in their name with the local government in order to put everyone on notice that the property is subject to a mortgage lien. By providing notice of a mortgage liens lenders can be assured that the homeowner cannot get too far into debt on property by asking for more loans against it. Deeds are generally recorded in the individual name of a buyer if a single person is the owner or in the name of a married couple if the property was purchased while the couple is married. There are various types of deeds with different types of successor ownership that can be created and basically governs how the ownership in the real estate is to transfer in the event of the death of one or more of the owners listed on the deed. Always consult with your real estate attorney to determine which deed language will work best in your situation. 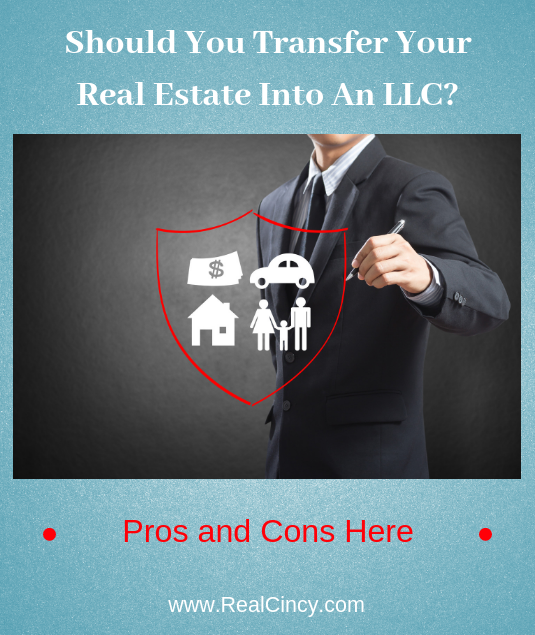 Why Might You Want To Transfer Or Buy Real Estate In An LLC? As noted above one of the biggest protections of having real estate in an LLC is that it protects other assets from lawsuits that arise as a result of activities associated with the real estate. For instance if you purchase a multi-family rental home and one of the tenants happens to get injured and they decide to sue you as the owner of the property (which happens to be direclty in your name) the courts can go after any assets you own in order to payoff any judgments against you in the event liabilty is found. On the other hand if the real estate is in an LLC and a tenant decides to sue the owner LLC, then the courts will only be able at most to use whatever the LLC owns directly in order to satisfy a legal judgment in a lawsuit. So if the LLC owns the real estate, and some personal property items within the building (such as lawnmowers, hand tools, etc.) then those items can be sold in order to satisfy a legal judgment. Everything else that the owner of the LLC owns (their own personal cars, their personal home, retirement accounts and more) should be safe since they are not assets of the LLC. Now of course if it can be shown that the LLC was improperly setup and operated then courts may be willing to look beyond the LLC for collecting on judgments though it is not very common. Still it is highly advisable to have an attorney draw up your LLC documents and to have the LLC operations reviewed on a regular basis in order to make sure you are operating it properly and limiting your liability accordingly. Another advantage of having real estate in an LLC is it can be much easier to sell than if the real estate is owned in a person’s name. When owned by a person the real estate then must be transferred to the new buyer which usually is done with a sales contract and recording instruments that record the new ownership with the local government. On the other hand if real estate is owned by an LLC, ownership of the LLC can change with the simple use of a sales contract and no change will need to be made on the deed since the real estate itself is still owned by the LLC that was sold. With all of the protections that an LLC can afford for real estate the question may become why shouldn't you move all your real estate into an LLC and protect your assets accordingly? The answer is that sometimes you cannot move your real estate into an LLC or you cannot purchase it directly into an LLC if you are using conventional financing. Most conventional real estate mortgage loans require the name of the deed be the same as the borrower. 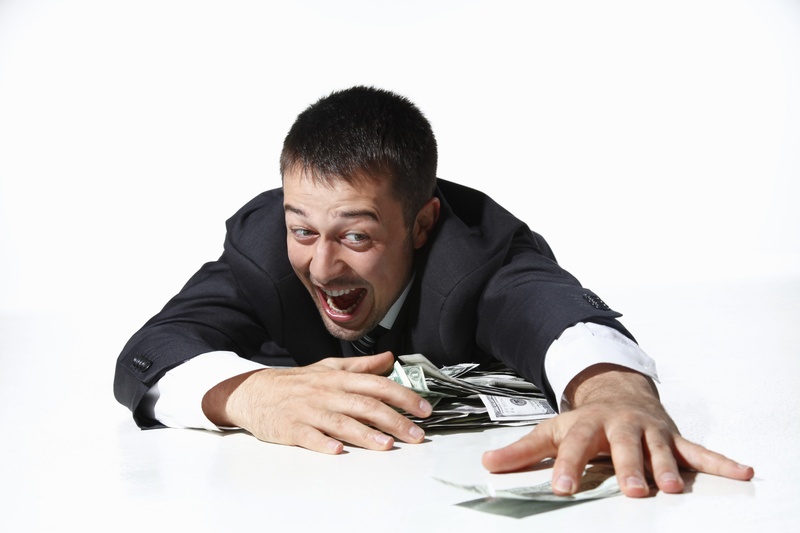 The lenders are trying to protect their loans by making sure only the borrower is the owner of the property. Often conventional mortgages contain “Due On Sale” clauses that can force a borrower to pay back the entire amount of the loan immediately when the property is sold or transferred. So a transfer real estate to an LLC after taking out a mortgage to buy it can trigger the due on sale clause and require the owner to pay back the loan immediately. Mortgage lenders agree to extend credit to buy a home to a particular person and do not want a new person to take the original borrowers place without their permission. If you happened to purchase real estate with cash directly into an LLC (which can be done pretty easily) if there ever comes a time where you would like to borrow against the property with a conventional mortgage loan the lender will require the ownership of the real estate to revert back to the individual owners name out of the LLC. Commercial mortgages or commercial loans can lend money to LLCs to purchase real estate and do so all the time. The problem is that commercial loans do not have as favorable terms as conventional real estate mortgages do. Individual real estate owners, especially those who own real estate for income producing purposes would do well to place their real estate in the name of an LLC in order to protect their assets. Depending on the loan type being used to purchase the real estate not every lender will allow the property to be transferred into an LLC. If an owner of property decides to transfer it to an LLC after purchasing it with a conventional loan they run the risk of being forced to pay back the entire amount of the loan immediately. About the author: The above article “Should You Transfer Your Real Estate Into An LLC?” was provided by Luxury Real Estate Specialist Paul Sian. Paul can be reached at paul@CinciNKYRealEstate.com or by phone at 513-560-8002. If you’re thinking of selling or buying your investment or commercial business property I would love to share my marketing knowledge and expertise to help you. Contact me today! This is a very nice and informative post. You were able to explain in simple terms why or why not transferring real estate to an LLC should be done.